W3C Compliance and why it’s important for Website Success! The World Wide Web Consortium, also known as W3C, is an international consortium with over four hundred members including all of the major search engines and many leading global corporation such as HP and Toshiba. It was set up in 1994 to develop international protocols and guidelines relating to the internet, and the setup of websites. The guidelines set down by the World Wide Web Consortium deal largely with accessibility issues, and aim to ensure that any visitor to any web page can view it with whatever computer equipment they have, without any negative experiences. Why is w3c compliance important? Making sure that your site complies with w3c guidelines is crucial for a number of reasons; not least that w3c compliance is necessary to be in line with the Disability Discrimination Act, and the Americans with Disabilities Act, if you are based in the US. Successful prosecutions have been brought in the US against sites that are not w3c compliant. When we talk about disabled web users, we tend to think of those that are visually impaired or hard of hearing, but there are also people with motor disabilities, tremors, cognitive disabilities that need to use special technology to access the internet. Software that enables disabled people to use the internet generally only works with sites that are w3c compliant, and have all the necessary coding, so following the w3c guidelines could help you improve the lives of disabled people as well as avoid a costly lawsuit. There is a great deal of debate on whether making your site compliant with w3c guidelines will actually increase your search engine ranking or improve your website visibility. However, there are a few simple facts relating to this question which make it worth your while adapting your site to ensure w3c compliance. • Search engines are designed to reward usability and accessibility, so sites that comply with w3c guidelines will be given preference over those that do not. Compliance with w3c guidelines may well be part of the algorithm Google uses to determine your website’s page rank and if it will assist your PageRank building strategies. • w3c compliance will make it easier for the search engine spiders to crawl your site and index your web pages. • Search engines only read text, so simplifying your website to reduce the amount of unnecessary or broken code etc. will make it easier for the search engine spiders to visit your site and find the most relevant information as well as helping you to comply with w3c. • Greater emphasis will be placed on w3c compliance in the future so if you are setting up a website for the long term it is advisable to make sure it meets w3c guidelines now. While w3c compliance is not a magic potion to suddenly increase your site’s search engine ranking, it will make it more accessible to search engine spiders, and will improve your ranking over time. You will still need to spend time on search engine optimisation uk and marketing your site, however, w3c compliance will not do all that for you. w3c compliance has been proven to increase the productivity and profitability of sites, even if only slightly. This may be less to do with search engine ranking and more to do with the fact that users can access and read the site easily, on whatever browser they choose to use, and so are more likely to visit it and buy something while they are there. How do I know if my website is w3c compliant? 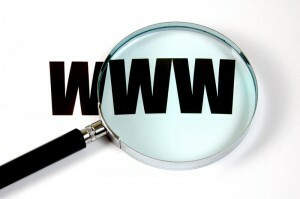 There are a large number of online tools available designed to check whether your website meets w3c guidelines or not. However, the most reliable validation tool is the one that is provided by the World Wide Web Consortium itself. This is a quick and easy way to see if your web pages meet the necessary guidelines, and if they do you can display an icon at the bottom of your webpage to show w3c compliance. Being familiar with w3c compliance icons is a simple way to check whether another web page is compliant. If a page is displaying a w3c compliance icon, you should be able to click on it to re-validate that page and check that it is still in compliance. Few website designers promote w3c compliance, and if you aren’t aware of it yourself there is a good chance your site was built without following the necessary guidelines. When asked about w3c compliance, many web designers will imply that it is very costly and restrictive when it comes to site design. This should not be the case. You should be able to expect w3c compliance as standard when having a site built. It shouldn’t cost you any extra, and you should still be able to design a fully functioning site that meets the guidelines adequately. If you need further information, then please contact us.